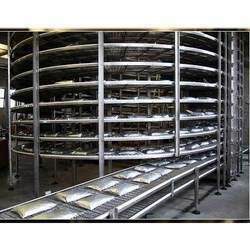 Our product range includes a wide range of bread cooling spiral conveyor, drum spiral conveyor, vertical dragging spiral conveyor, ice cream spiral conveyor, spiral conveyor and cooling spiral conveyor. 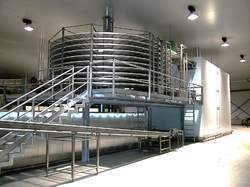 The spiral conveyor is used for the thermal treatment of alimentary products both loose and packaged, treatments include drying, streilizing, cooling, freezing and leaving different kind of goods, such as bread, pasta, meat,cheese,vegetables and more. 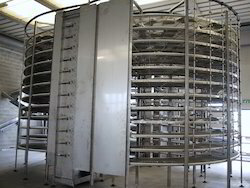 We are offering Bread Cooling Spiral Conveyor. We are offering Vertical Dragging Spiral Conveyor. 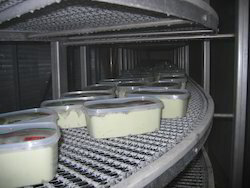 We are offering Cooling Spiral Conveyor. 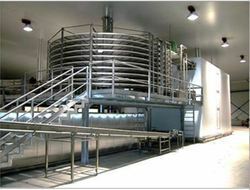 We are offering Milk Products Spiral Conveyor.